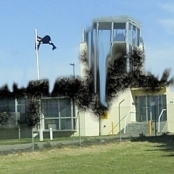 The Jetty Journals - where did this pandemic virus come from? 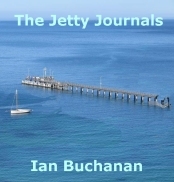 The Jetty Journals came about after a conversation while driving around the Mornington Peninsula. The film "28 Days Later" in some ways is a homage to the story/film "Day of the Triffids". "Triffids" is one of my all-time favourite books, and I enjoyed seeing the references to it in "28 Days Later". In discussing the parallels between the two, the conversation veered into imagining "What would you do if the triffids came here?" There aren't any triffids in The Jetty Journals, of course, as there aren't in "28 Days Later". In both, the triffids are replaced by the ferals, the infected, zombies. 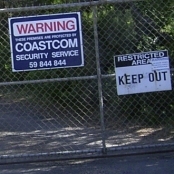 But it was fun, in a bloodthirsty way, to think about what we would do to survive, where we would go, and so on, if it all happened and we were stuck on the Mornington Peninsula. "It would make a great story", we agreed. And if it had the sense of excitement and was a ripping yarn, like John Marsden's "Tomorrow When the War Began", so much the better! My daughters, every so often, poked me and said, "When are you going to write that story?". I started it, stopped, but once they'd read the samples they kept up, in a nice way, putting the pressure on me to finish it. A friend, who is a headmaster, gave it to a group of students to read, and give me some feedback. They loved it. I used the comments I got from early readers, and I hope you find the book as gripping as the early audiences have found it.